1 Drizzle herring inside and out with lemon juice and let stand for 30 minutes. Season with salt and pepper and coat with flour. Heat clarified butter in a pan and cook herring for about 4 minutes per side or until golden brown. 2 Combine 750 ml (approximately 3 cups) of water with vinegar, sugar, 1 teaspoon of salt, spices and bay leaves. Peel onions, cut into thin rings and add to marinade. Season with salt and pepper and cool. 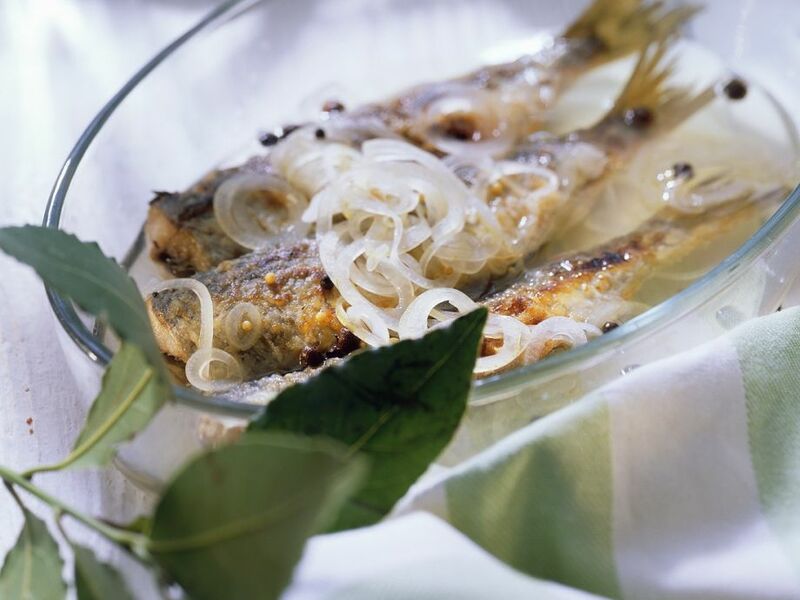 Place herring into elongated bowl and baste with marinade, cover and keep for 1-2 days in a cool place (not refrigerator). Serve.